How To Score Good Marks In Board Exams In Short Time : 99% Useful Tips : There are basic and helpful tips and tricks to prepare for board exams before a month of exams. What are the simplest way to get good marks in board exam? 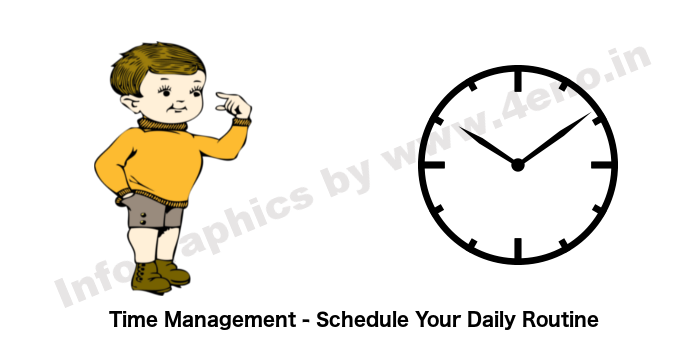 This is simple and most common question which is occurs mostly every student’s mind and students who are magnetised to the books are likely to worried about good marks in each subjects. This article is about how to score good marks in board exams, means you are covering all subjects and overall you are trying to get place in merit list or under 10 students. This is not easy to get place in merit list or get place in top 20 students. You have to scarifies for many things. These tips and tricks are really useful and after doing research on more then 200 students, we find that if an average students will follow these tips, s/he will definitely score more then 90% in any board exam. Students who are preparing for board exam, and other examination they should know all these tips and keep these on your mind. Can an average students score more then 90% in board exam ? Can I? Yes you can, Because “Nothing is impossible”. If an abnormal child can become talented star like Hrithik Roshan, then every thing is possible. But there are some rules which must be followed to make that impossible, possible. Impossible is combination of “I Am Possible“. So keep working hard for your ambitions and follow all the steps given below to score good marks in your Board examinations. Time is killer, A though came in my mind that, “if you didn’t care for time, time will never give you a chance to care for the thing you needed”. That’s simple time is one of the most dangerous thing, you should take care of. Make a chart for your daily routine and give maximum time to your study. Suppose you spend 6 hours in your bed and rest 18 hours must be used for your exam preparation. A students is never pressurized for earning and other family matters. You are a students so give maximum time to your study. Your daily routine must be like, wake up at 4 o’clock, take 15 min to be fresh and have a cup of tea/coffee. Then open your book. and study till 7 O’clock. Then go for morning walk which is important, then take your breakfast till 8 O’clock. If you are at home then again collect your notes of other subjects and start practicing. Don’t study more then 2 hours continuously take some break in between. Around 1 O’clock take your lunch and then take a nap for 45 min. Then again get ready for your exam preparation. In the evening you must go with your friends for some entertainment or physical activities. Then around 7 O’clock start your study and then have your diner before 9 O’clock. After your diner you must revise all the things you read whole day. Go to bed before 10 O’clock and revise the chart for next day. 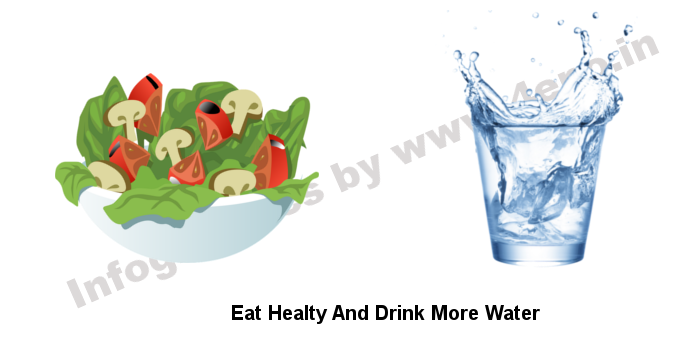 Healthy Food, water, and juice are high of energy and protein which helps your brain to work fast and also helps in remembering what you studied. 70% of your brain is filled with water, so that you must know the importance of water. Regularly drink water and drink more then 2 letter per day. Well food will help you to focus on your study and this will also make you physically strong. Which is really important according to the exams. Once you are suffering from fever it will less your 20 to 30 marks in each subjects and you have to face a big loss. 20 or 30 marks are really hard to get and these marks will decrease your percentages by 4 to 6. Make a hobby of doing meditation. First 2 weeks you will feel it useless but once you will realize the benefits of meditation. You will become habitual of it. We got some query from our students, one of them was – Sir, I can’t focus on study, when I sit in the desk and after few minutes of beginning my mind diverts to another things. Every time I try to focus on study I disturbed will useless thoughts, So please help us. For those students, we have only one solution and that is do meditation and you will be focused on your study. regularly do meditation for 30 min at a peaceful place and see the result. Relaxation ! Doing rest give us pleasure and one of the most enjoyable thing is sleeping while you are tired. Students study full day and worry about their exam. They should not worry about exam. Students should take a nap or break between long time study. Don’t study for more then 2 hours regularly. Take 5 to 10 min break between your study, it will help you to remind what you learnt. 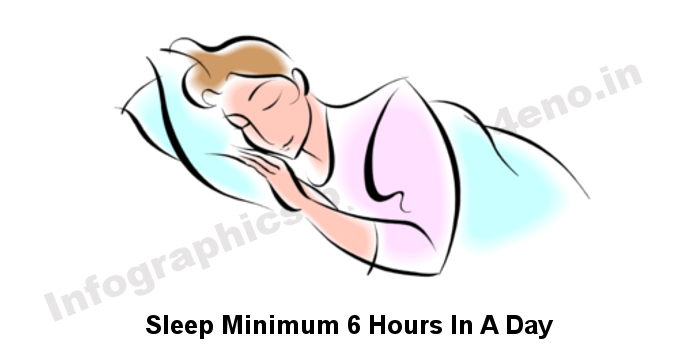 Sleeping is best experience for anyone, but our parents thing that this is exam time you should not sleep more then 4 hours. I have heard people to scolding their children’s for not sleeping before 11 pm and waking up at 3 am. This is not good for health and you have to pay for it if you are doing so. Take full 6 hours of sleep and this relaxation will help you to score good marks. Challenge your self means, set target for doing things before time and doing better with the time. For suppose you got 30% in first term, then improve yourself and get 50% in second term. Then work hard and once you will get 95% in final board exam. You will not succeed until you have not make an ambition to chase. Increase your performance day by day and this will only happen when you will regularly study and follow these steps. This is important from the perspective of exams, that you should make a not of your weakness either it’s a subject or a chapter or a topic. let’s suppose, you are weak in maths, obviously it will scare you and you will ignore as much as you con. But stop ignoring such a subjects because out of five there will be a subject or a chapter which is out of your mind or you are getting boring of it. Hard work will definitely pay off. Make your study plan and include every subjects don’t leave anyone. For a day give some hours to particular subjects, subjects which you finds are hard schedule on top in the early morning. Then scoring and one interesting subject keep side for day time while you get bored of study pick your interesting subject and your time will not waste just looking at book. Don’t forget to take a nap in between. Revision is important thing, learn today and revise tomorrow. This key will make you succeed and help you to score good in board exam. Don’t forget scoring subjects and easy subjects. Sometime students over confident about some subjects and at the end they find with sad faces for worst paper of that same subject. Sometime you must use tips and tricks to memorize, don’t ever rote memorize for few subjects like physics and maths. For physics and maths you must clear your concepts. But you can’t clear your concept of english, Hindi, commerce, history and like these subjects. To memorize you must know about some tricks like “ईंट पर नाच” and “LAL/KKA” These are really helpful. Some time you just have to clear your concept instead of rote memorization. So clear your core first then you will be able to clear your further concept specially in physics, maths and economics. Sample paper for board exam are provided officially but only solving then will not give you such an experience of topper of the class. Collect some sample paper, guess paper and previous year paper and then download them and solve them. 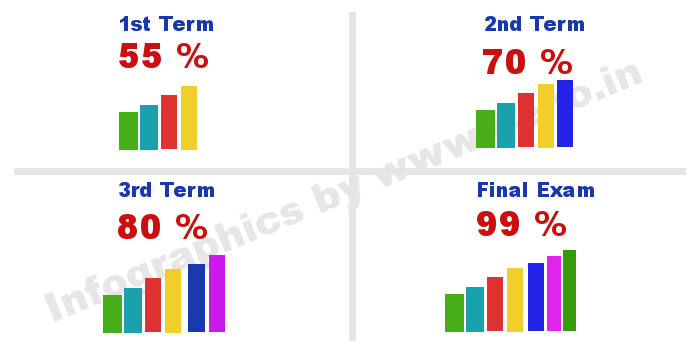 10% – 20% are comes from sample paper each year so that you have to solve sample paper and, only if you solve previous 10 years paper and sample paper you will get more then 60% marks. And rest 30% you have to prepare from important notes and books. Never forget, english, and Hindi which are most common and scoring subjects according to the study. if you score more then 95 marks in both subject and 80 marks in your weak subjects then it will help you to make an average of 90%. When you are preparing for board exam and other exams, you should give some time for those subjects too, don’t spend your all the time to practicing for tough subjects. Your scoring subjects or those subjects which are easy according to you will help you to score good – keep in your mind always. Good hand writing give us bonus point, weather we are in class 1 or class 12. Examiner always be impressed with those answer sheets which are keen and clean. Because they don’t need to put extra efforts to understand our hand writing. They checks thousands of copies and each of them is different. So, make your hand writing different and your answer sheet well maintained. So, that examiner will not think about cut your marks for silly reasons. It’s all about impress examiner so, one of the best way is to impress him/her is clear answer sheet and neat and clean diagrams. You are not complete if you have leave your answer sheet before 3 hours, take full 3 hours to complete your paper, A paper can’t be too easy to complete within 2 and half hours. If you are done before the time, then check your each question correctly and tie your second copy with first. Don’t forget to mention second copy as + A or B in first page or answer sheet. your 1 marks will make a gap or 0.2% your one mistake will fell you down from 100% to 99.8%. So remember all little things during the examination. It will obviously help you if you are studying in a group. No one is perfect and no one knows everything. so describe your answer with your friends and listen their answer too. Then you will come to know what was wrong and what is right. Catch your mistakes and keep them in your mind. make improvement in your answer if you find you missed any thing while answering. Watch video for that topic which are not clear to you. 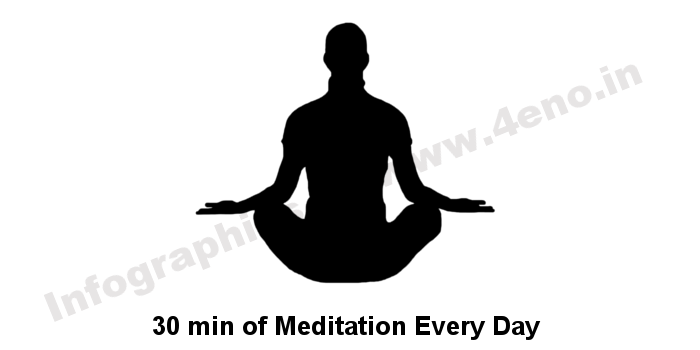 Audio, video and infographics will help you a lot. One of the disturbing element is mobile phone and second one is that facebook or WhatsApp you are using on it. 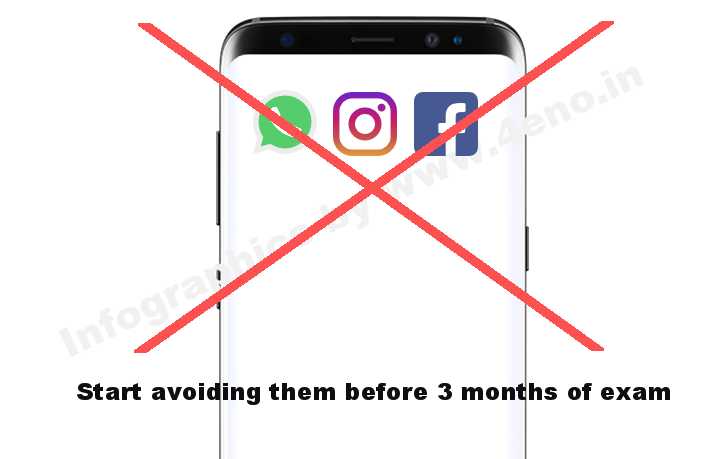 Its time to say good bye to Facebook, Instagram, whatsApp and another Messenger apps. Weather these are important too, if you are sharing notes and all these thing. So there is a better option that ask for the phone to your mom or dad or brother and do your work with. Because once your phone will come to your hand, time will kill you and you will see at the wall after two hours. So avoid these things. Separate a day from your daily routine and go with your friends, teach them what you learnt. And believe this one is the best method to revise and memorize too. Your concept will more clear when you will teach any other. If any body is not listening you, forcefully ask him/her for sitting and hearing you. It will help you and him/her also. Just jokes a part but teaching other will help you. If you find no one is around you and you can’t teach any body then sit in front of a mirror and try to make understood yourself in the mirror. Thanks for reading this article. If you find any query regarding the topic or you find that you are not able to study like that you make leave your query. Hello Samaya, Yes, of course these topics will help you, your regular preparation and these tips will obviously help you to score maximum marks. Hhey very help full motivates me tq…..
Hello Yash, Thanks, we always love to hear it. We hope these topics will help you to score maximum. Thanks Ashutosh, Thanks for your compliment. Thanks Abhishek. We hope these will help you to score highest marks. hello mam,this tips are really good.I hope this tips help’s us alot.thank u!! Thanks Shourabh, Thanks for your precious comment. Thanks Dear, If you will follow these tips, we hope you will do great in your board exams. All the best for your exams. Hello Dhrumil, Thanks For your precious comment. Thanks a lot. Hope These steps will help you in board exams. All the best for your upcoming exams. The tips given by you are very important. The idea put forth of meditation is awesome. Thank you so much. Thanks Manasvi, Thanks for your comment, we love to hear this. i really liked your tips and they are really helpfull also. Thanks Priyanka. We love to hear this, hope you will score good marks in upcoming exams. All the best. Sir how much marks DID YOU Scored in your exam? But ek problem hai school main tho Etna homework de date hai ki ghar par self study kar na ka time hi Nahi milta…… Kya kare …..please reply me……..
Hello Minakshi, good question, See, now you have to manage your time and have to get sometime for study too. Try to do your homework as fast as you can because your clean note book will not give you good marks in exam but your neat and clean answer sheet and your answer will. So prepare timetable for your study and homework. Hey Himanshi, Don’t worry because it is just an exam and as normal as you have given before. If you are in 10th class then your tension is admittable but just try to convince your mind, that all exams are same. Never disappoint yourself before exam. Each morning when you awake, just tell your self, yes! “I can do” and practice in a single room and assume you are in a real exam hall. Your regular practice will make you exam hall friendly and then Just focus on your study and week points instead of worrying about exams. Sir when to revise the whole thing I learned today and when to repeat it again. Hello Gautam, When you sleep most of the thing goes out of our memory. So Whatever you learnt today, you must revise it tomorrow and first time period of your schedule should be revision. If you are not clear on your previous topics then it would be foolish to move on. If you find everything you read is correct and you remembered these topics and answers then move on for next topics. And revise is most important part of study. When you study for a week, make a chart of whole week and at the end of week you should revise it once. Because it would be confirm that what you have read is still in you mind or not. Hello Sakshi, At First, Please don’t be panic for your exams, just calm down, these are only exams, and each paper will be like previous exam papers. So this is just your mind stress and nothing else. You ask for time schedule. As we have mentioned time management at the top. You must have to get free time from your daily routines like eating, outing, school and other useless things. Just get free time for your exam preparation and at lest 12 hours a day get for your study. And then make time table to study in these 12 hours, Like first you must study maths, then science and so on. Don’t divide equal time to each subjects. If you find any subjects difficult, give that subject extra time and calm down. Thanks. Hello Rashmi, Yes These sample papers and previous years paper will help you to doing more better in board exams. There is a lot time so you can prepare for board exams. Give more time to your study. Thanks Prinshul, Thanks for reading these tips. Follow them and these will help you to score good marks. I just have 21 days for my board exam. Will this technique help me?? Sure Afifa, But you have to double your efforts. Hello Sachin, Keep following these steps, and just double your efforts. You can score more than 70%, and 70% is not too hard to achieve. Keep motivate your self and do hard work. Hello Abheek, That’s really great. You are doing well, keep doing and this practice will pay off. Don’t be panic during exams and keep these tips on your mind. All the best for your exams. Iam continue to get very low marks only in maths,but I think I work hard but still I am getting a very low %.what is strategy to improve my performance over maths sir? Hello hari, Maths is all about formulas and concepts, you need to clear your base first. Means basic maths and important formulas are key. Can you solve a question if you have formula? If yes, then you must work hard to remember formulas. One more thing is basic concepts, that will help you to solve your query fast. If your basic concepts are not clear, then give some time to them and go ahead. All the best for your exams Hari. sir they are helpful but sometimes i forget some qusetions in exam due to fear so how can overcome it. Hello, Aniket, Forgetting question is just fear, symbol of low confidence, and lack of revision. Revision is part of study and if you have revised your questions and answers, or we can say well revised syllabus, you can’t forget it. To overcome this problem, you need to revise everything before you studied and make sure, whatever you study is in your mind. Thanks, and all the best. Sir How much chances are there that questions could come from CBSE 2017-2018 sample paper in board exam? Sir will the board 2018 question paper will be hard as compared to sample paper issued by CBSE. Hey Abheek, Might be, but it is not confirm, sample papers are made by CBSE, so final board exam paper will be according to those sample papers. Welcome tarannum, Thanks for leaving your reply. Hello Gravit, Thanks for your precious comment and appreciation. Hello Mihir, you must know which question you did wrong, in short i must say what is your weakness, where you lost your number? concentrate on these topics and questions you will definitely do good. All the best for your exams. Thanks Sumit, We always wants to hear these types of compliments from you all. Thanks again. Hello Nishanth, You should prepare for that before the exam and you should make your mind habitual of this situation, sit for 20 min in alone and think you are in exam hall and then try to think every circumstances, which can be happened to you during exam hall. Now you will come to know what can be with you and result will be nothing because if you are doing good no one will say nothing to you. Every supervisors and teachers in the exam hall are there to help you not to scared you. So you should mentally prepared for that they are with you. Second this if you are absorbing that they are looking at you it means you are not fully concentrated to your exam. Put your 100% in the question paper and answer sheet. Leave every thing happening around and concentrate on your paper. All the best for your exams. I will follow this timetable. Thanks Rishabh, And we Hope this timetable will help you a lot. Hey Aritha, This whole process is all about score good marks in short time. In this time you can only revise your syllabus and important questions and answer, Don’t waste your time if you are weak in some chapters or topics, go through those important topics which are useful for exams and follow the steps above. Thanks for the compliment. We would to help you all more in any manner we can. Hello Siva, It is usual, heavy syllabus will take time. And as you said, you have learnt the lesson many times. It means you have revised it more then two times. Now you should focus on important topics, and those topics which are not easy to memorize. Leave all those topics or question which are easy, and revise tough questions. Once at night and once in the morning revise whole syllabus. Just see important-important things in each questions. For example, Types of, When it happened?, Who was behind this, due to. Means main part of the answer. This will take less time and help you to cover whole syllabus in less time. All the best for your further exams. Wish you would reply soon sir. Hello Anju, This time is not to get confused. Take it easy, you have given all remaining papers and maths is not too tough. Like others paper this paper will come from the book and everything will be fine. So be calm and focus on study instead of worrying about result. Some last minute tips is, Try to revise more time and give more time to your study. Formula is the key. So try to remember formulas clearly. Before the exam stop thinking about exam and result. And stop studying before 30 min. of exam. When you will sit in exam hall. Be calm and study whole exam paper carefully before writing. Clarify each question and prepare your mind for these questions. And start writing. Remember just solve your paper don’t think anything else, just don’t. All the best for your maths exam. this one is the best way..to achieve ur goal. from today i wanna go to start this type of routine . Thanks prashant you gave your time to comment in this article. Hope these steps will help you. Thank you very much sir.But i have a confusion in your article it is written that ‘do not read more than 2 hours’ is it harmful if i studied more than two hours. No, there’s no harm if you read for more than two hours, it is just when you are studying continuously your mind gets tired, so it is just to give some rest to your mind so that after taking a short break it can grasp things more quickly. Hello Charles, if you can tell us then we will write on these topics too. Never say that i can’t do this work or that work. Always have a positive approach towards everything, then each and everything will work. Start practicing from today, you will surely be able to do it. Good luck. Thanks Aakash for your Precious Comment. Hello Sagar, It will not effect your result but it will effect your health. Maximum time to sleep for a students is 7 hours, You must take 7 or minimum 6 hours sleep. Hello Sagar, Don’t do this, Give sometime to maths, It will help you to scroe good marks. And maths is important. Concentrate on five but give some time to maths also. I can’t fully concentrate during studying. Give me better solution of this problem… Please reply. May we know why you are not able to concentrate, are you facing any sort of problems or fear of examination, please let us know so that we can provide you with a better solution. this article was really helpful..i’ll definitely follow this from today..thank you soo muchh…. Thankyou Sreenidhi, Hope result will be positive to follow these steps. Is it really helpful….Exams ate after 3-4 months…Do these tips will work?? It all depends upon you, students who have followed these instructions scored really good, and we came to know about it from the feed backs they sent us. Yes Sagar, If you have five subjects then your percentage would be given according the 5 best subjects. Very much motivated…. Thnk uh so much.. This is more motivational and help full for me to score good marks in exam. But ,I have a query .I am not able wake up soon and always feels sleepy. I need some notes to wake up earlier. Hello Moushik, This is very common problem with everyone especially in winters, So you wake early and then go outside for 10 to 15 minutes you will not feel sleepy then. And If you will continue your routine for 10 to 15 days, Then you will be habitual of it. Sir…..I can’t understand accountancy after practising many times….once I done particular questions ..I can remember them for few minutes but after an hour I forgot that …..how can I get better marks in accountancy. …give me any suggestions for accountancy …..because my exams are near …and I am so hopeless about exams……? 😔I wish you will reply soon and give me best suggestion …. This is for 2019 boards????????? Thankyou very much this note is effectively change my life.